Discussion in 'SWNN News Feed' started by SWNN Probe, Mar 26, 2017. 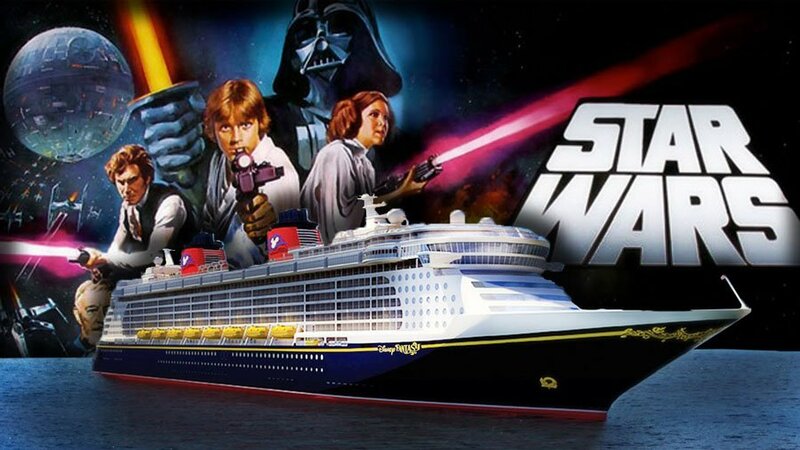 Yesterday, I wrote an article for this site about a post on our message board which said that a guy on another message board wrote about a seminar that Lucasfilm Story Group Grand Poobah Pablo Hidalgo held while he was on a boat. (Heck of a sentence, I know.) This article covered a series of rumors that Hidalgo himself responded to when our post was mirrored over Twitter, and I gave my thoughts on them. Now, someone in contact with the original source has relayed some new information from them, which further clarifies what was said - including whether or not Season 4 really is the end to Rebels. If you haven't read the original article, check the link above. Otherwise, none of this is going to make sense. I also know the guy who posted the original info. He's a member of a message board that I post on frequently. He posted those 8 points without having any idea they'd be picked up by and spread across the internet. He feels kinda badly about all of this. First of all, he posted from his phone at the airport having arrived back from the cruise and just wanted to jot down what he could remember for a bunch of us who are big fans and wanted to hear all about the cruise. The post wasn't especially thorough or as clear as it could have been. And again, he didn't expect it to get around. The bit about Rebels being the final season was a slip up. Pablo was answering a question and said something like 'we have one more season of Rebels... oops... I mean ANOTHER season of Rebels is coming.' Then he said something like 'don't tell anyone I said that.' The Poster thought it was funny and admitted that it wasn't confirmation of anything; he just wanted to share it with us because we're big fans of Rebels and have been speculating on whether or not the show will end after next season. Again, he didn't know this would go viral at any level and really feels badly that it's gone as far as it has. I'm only posting all of this on his behalf because I know he feels weird about all of it and he doesn't want to make things worse. He respects Pablo and never had any intention of 'leaking' anything or bringing on this kind of speculation. He wants to drop the whole thing but I thought it was only right to post something that explained the context a little more clearly. Hope all of this makes sense. Thanks for all your great work. Keep the news/rumors coming. I would like to note that we weren't planning on posting the original article until we got verification, but the cat got out of the bag before we could do anything about this, so there was no point in waiting. That being said, it's good that there's actual clarification on some of the more questionable points. Hidalgo certainly hinted that we're going to get an announcement about the next animated series in a few weeks, but right now I'd encourage people to keep their expectations in check - whatever it is they're developing right now won't arrive until Fall 2018 at the absolute earliest, given that Rebels will go on until Spring 2018 or so. Which brings us to the elephant in the room: the possibility that Rebels could be ending next season. The clarification seems to hint that Hidalgo's comments were a genuine slip of his tongue, but again, the possibility that the show may be ending next season still exists. As it currently stands, I still have doubts that Rebels will end with Season 4 - it seems like there are a lot of plot threads that the show still has to tie up, and there's a lot for a single season to cover. While they could do it all in one season, the show's love of including occasional 'fluff' episodes makes me think that they're going to space things out a bit further. Recent comments from Dave Filoni regarding Season 4 suggest that there may still be a Season 5 waiting in the wings (or at least that they're not going to tie up all loose ends just yet), making matters even more confusing. It definitely doesn't seem like they want their show to be cut short like The Clone Wars was, and given that there's no other Star Wars show on television right now, it doesn't seem like it's going to end until they have a new series ready. We'll most likely learn more about whether or not the next season of Rebels will be the last with the arrival of the show's 90-minute panel at Star Wars Celebration Orlando on April 15. Until then, stay tuned to Star Wars News Net for the latest and greatest stories about the Galaxy Far, Far Away. I hope it goes as long as it can, time & impact these characters make will tell.